After honing his skills for two decades as one of Canada’s premier guitar restoration technicians, Douglas Harrison has burst on the scene as one of the finest custom archtop luthiers in North America. Douglas pushes the boundaries of woodworking to a higher level and squeezes every ounce of tone from each component. 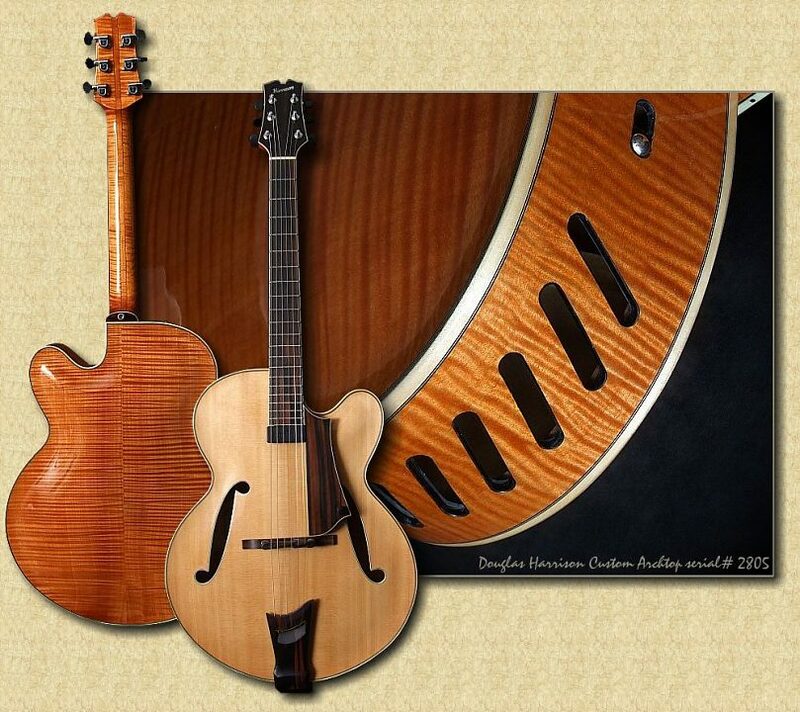 These instruments have a power, clarity and warmth of tone that is rarely heard in any archtop. 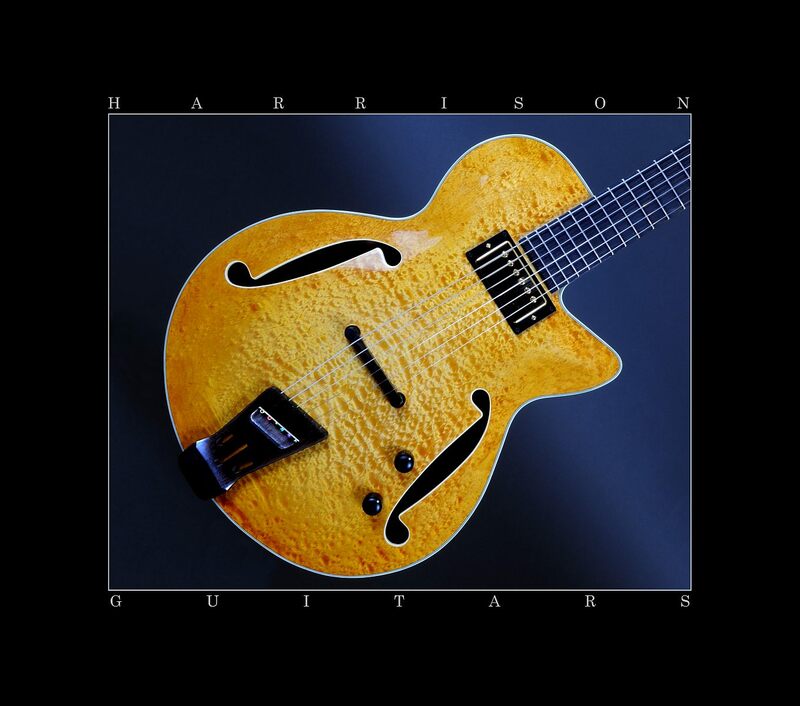 Harrison’s experience as an accomplished jazz guitarist has been invaluable in developing the sonic nuances of this complex instrument. * 3-piece hand carved maple neck with rosewood or ebony fgbd. 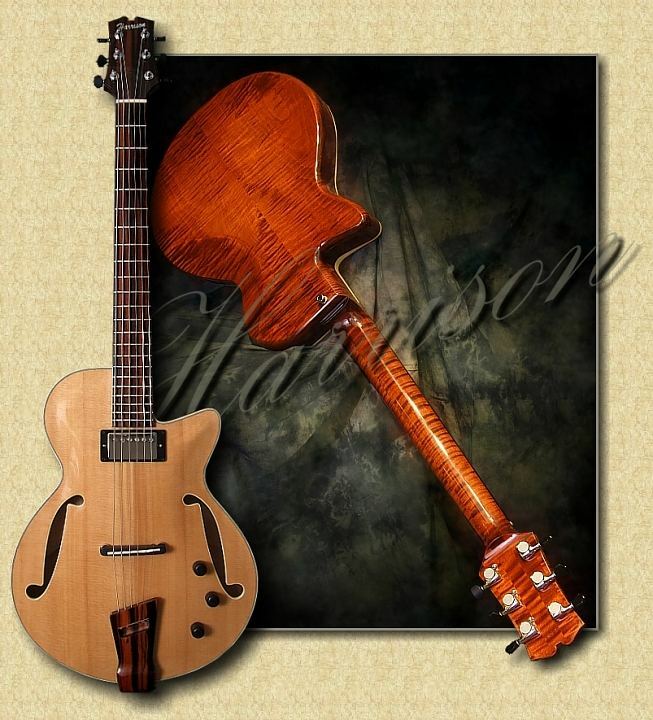 Douglas Harrison created a small-bodied archtop jazz guitar in 2000 for jazz veteran Gary Benson. 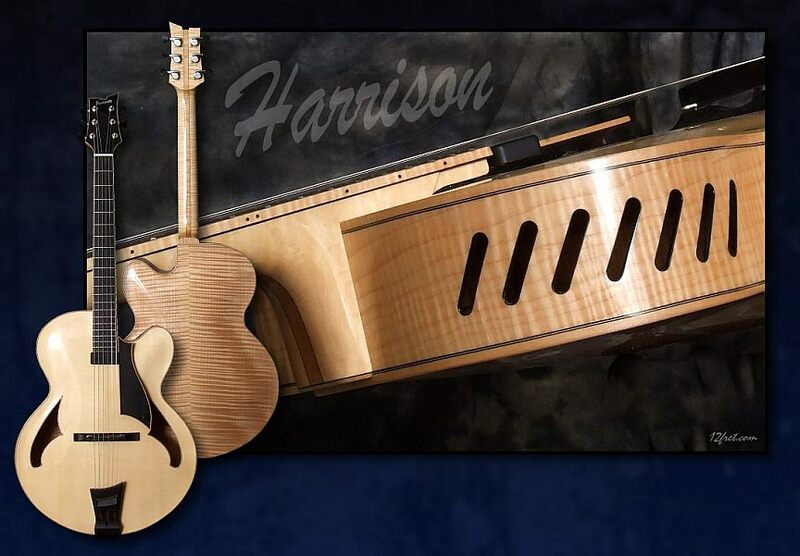 Since that time Harrison has been getting a steady stream of orders for variations of this practical design. The instrument pictured below differs from the prototype GB in that it features “S” holes similar to Harrison’s full sized archtops. The “Model GB” has a hand graduated carved spruce top, ebony fingerboard, carved ebony tailpiece & pickguard, fully hollow mahogany body and mortise & tenon neck joint. A bridge block glued between the mahogany back and carved spruce top gives this instrument excellent gain-before-feedback characteristics. I have to say this is one of the most comfortable feeling instruments I have ever played. The balance, waist placement and neck shape are ergonomically near perfect. This is a workhorse of a guitar for the working jazz musician! Link to the Official Douglas Harrison website!